Snow saltation is the process by which wind moves snow through thousands of small jumps. As well as being very important economically (blocking roads and railway tracks for example) this process is thought to take place on the surface of a dense flowing avalanche and as the relative velocities increase a suspension develops leading to powder snow avalanche. The interaction between wind and snow is crucial to understanding the genesis of powder snow avalanches as well as their dynamics. 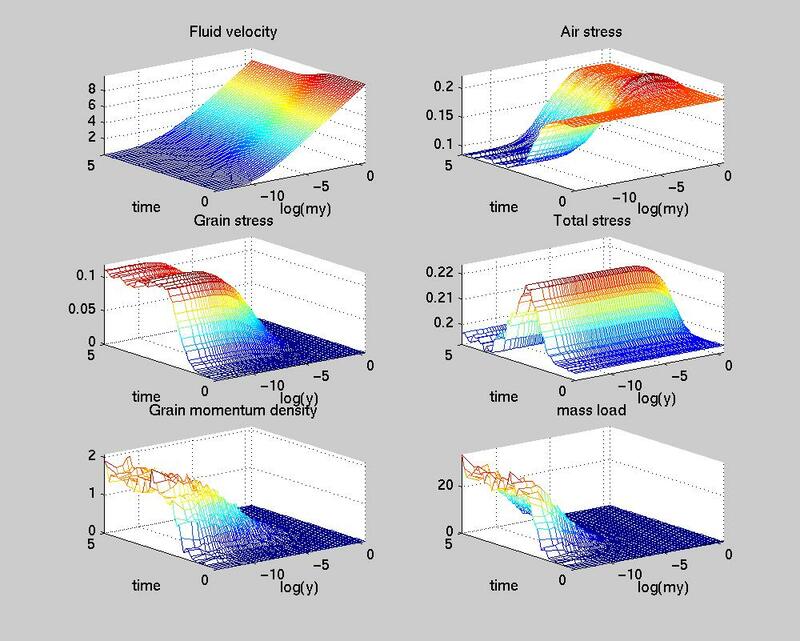 I am trying to develop a theory of snow saltation that includes air turbulence so that the transition to snow suspension can be understood and used to understand the genesis of powder snow avalanches.